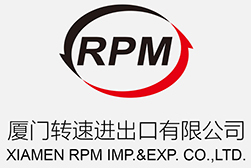 Rimpex Rubber supplies PTFE, PolyTetraFluoroEthylene from China. In addtion to all excellent properties of PTFE material, F-206, the PTFE suspension resin has outstanding performance in paste extrusion to manufacture sealing tape, etc..The resin are processed by mixing them with some organic solvents, 100# aero kerosene for example, to obtain paste which are made into coherent, smooth and flat semifinished products after ram extrusion.Druing this progression the extruding pressure remains steady.The semifinished products are further processed to produce unsintered tape by calendering, enlongating and removing solvent with heat. Normally 4 diameters are set for F-206 extruded straps: 5.0mm, 4.5mm, 3.2mm, 2.8mm. ---To pack 25 kg in ployethylene plastic bag in hard paper drum---To stamp confirmation certification, clear and tightness mark o the outside surface of drum.---To store in clean, cool, dry warehouse.---Shelf time is 3 years since date of production. In addition to all excellent properties of PTFE material, F-218, the PTFE suspension resin has outstanding performance in paste extrusion to manufacture sealing tape, etc..The resins are processed by mixing them with some organic solvents to obtain paste which are made into coherent, smooth and flat semi-finished products after ram extrusion.During this progression the extruding pressure remains steady.The semi-finished products can be further processed to produce unsintered tape by calendering, enlongating and removing solvent with heat, and also to manufacture sintered coherent thin-walled tubing, continuous long rod, and wire & cable coating, etc..
---To stamp confirmation certification, clear and tightness mark o the outside surface of drums. ---To store in clan, cool, dry warehouse. ---Shelf time is 3 years since date of production. Could be mixed with fillers such as graphite, glassfibre, silica dioxide, molybdenuym disulfide, bronze powder etc. to make filled articles. Widely used in electrical, electronic, chemicals, aircraft, machine and national defense industries. To pack into two layers clean plastic bags in a hard paper drum containing 25 kilogram . To stamp the product's conformity certificate, clear brand and the date of production on the outside of drums. To store in clean, cool, dry warehouse. The shelf life is about 3 years. The product is made of tetrafluoroethylene by the way of suspending. Resistance to corrosion in chemical industry and producing wire in electrical and electronic industry, the insulating of cable, the mould release of food industry, anti-sticking roller in textile industry. Packed in cleaning two layers plastic bags in hard drums.Every drum contains 25 kilogram, and the outside of drum should have the product's conformity certificate, clear brand.Besides, it should be stored in clean, cool, dry warehouse, and the shelf life is about 3 years. ・ With polymer solid content 60%(w/w), the mean particle size of the colloidal PTFE dispersion particles is 0.05-0.5 micron. ・ With high stability against coagulation. ・ Nontoxic at room temperature. ・ Excellent chemical inertness, outstanding resistance to chemical corrosion, such as strong acid, alkali, strong oxidant, etc. ・ Outstanding resistance to heat, low temperature and abrasion. ・ Can be used at temperature range from -200℃-250℃ for long time. ・ Excellent electric insulation property, which is not affected by temperature and frequency. ・ No absorption of water. ・ Directly used in impregnating porous materials, such as asbestos, glass fiber, metal, ceramics and electric carbon as anti-corrosion, sealing, antifriction and lubricating materials. ・ Can used as protection layer by spraying or brushing on many kinds of metal or non-metal matrixes. ・ Can be directly used in PTFE spinning and cast molding film. ・ Wildly applied in national defence industries, rubber, electrical and electric industries, etc. ・ Its concentration, viscosity, or PH value could be adjusted by adding thickening agent, ironless water, surfactant, organic acid or aqua ammonia, etc.into the emulsion. ・ To pack 30kg in dry and clean plastic drum with both inner and outside covers. ・ To keep the container tight in order to prevent the emulsion volatilizing. ・ To stamp confirmation certification, clear and tightness mark. ・ To store at temperature 10℃-25℃ and keep away from sunlight.The emulsion would coagulate and become useless if the temperature is bellow 0℃. ・ To avoid violence vibration and high temperature. ・ Impregnating, coating or spinning. PVDF namely Polyvinylidene fluoride is a kind of crystal polymer with low melting point(160-170), high mechanical properties, good resistance to wear, to high temperature, to corrosion, to weather and as well with good electric insulation, high dielectric constant.Also it is anti-ultraviolet ray, anti-radiation and easily machined.With low processing temperature and good melting flow, it could be processed easily to make pipe, plate, rod, film and fiber.Its heat conductivity is poor. Used as good anti-corrosion material in chemical industry, especially in the circumstances of acid, organic solvents, halogens, as well as their mixture.Widely used as insulation material in electronic/electric industries, computer industry, air/space industry to make cable sheathing, coating layer, and condenser film, etc. Note: The specification above is negotiable to fit customers special requirements. The PTFE plate is ideal for many machined parts.It can be cut into blocks or strips for fabricating into casings, housings or components for the electrical, chemical processing and various mechanical fabrication industries.PTFE is impervious to virtually all corrosives, its dielectric properties are extraordinarily high, and it has an extremely low coefficient of friction.PTFE will perform in environments from -350 degrees F to over 500 degrees F.Virgin PTFE is FDA approved for use in food processing equipment. Virtually all processing equipment that conveys parts or assemblies through high heat zones uses PTFE.PTFE costs less than some metals, and will perform better with less maintenance and downtime when special fillers are added. Plate is available in thickness from 4 mm to 30mm, and in standard square sizes (120, 160, 200, 250, 300, 400 and 450 mm square). Special sizes can be made to order, up to 100mm thick.Large diameter (520-1350mm) circular plates can be made. PTFE can be filled with materials like ekonol, glass fiber, molybdenum disulfide, carbon and bronze to increase hardness and change its properties for applications like bridge slides, brake linings and bearing pads. Appearance With clean surface and even texture; No cracks, bubbles and layers divided; No defect like obvious mechanical damages and tool marks. With clean surface and even texture; No cracks, bubbles and layers divided; No defect like obvious mechanical damage and tool marks. Impurities Metal Impurities Not permitted. No more than 1 impurity sized Φ0.5mm on every 100×100mm2 square. ・ Widely used in electrical, electronic, chemicals, aircraft, machine and national defense industries. Its plate is with white surface and even texture. No obvious color difference on the cross section of rods (diameter 57mm) Its plate is with white surface and even texture. No obvious color different on the cross section of rods (diameter 57mm). Its plate is with clean surface and even texture. No metal impurity is permitted. The impurities should be no more than 2 and their size should be no more than 1mm. The impurities should be no more than 2 and their sizes should be no more than 1mm. The impurities should be no more than 4, among which the impurities sized 0.5-2mm should be no more than 2. The impurities should be no more than 6, among which the impurities sized 0.5-2mm should be no more than 2 and 2-3mm should be no more than 1. ・ Could be mixed with fillers such as graphite, glass-fibre, silica dioxide, molybdenuym disulfide, bronze powder etc. to make filled articles.